Liposuction can both help women and men. Almost all body regions can be shaped by liposuction because fat deposits are located under our skin in many body parts. as an accompanying measure for weight loss in order to decrease cardiovascular risks. In women a liposuction is suitable for shaping of the upper and lower thighs, the buttocks, the hips (saddlebags), the belly, and the chin (double chin liposuction). 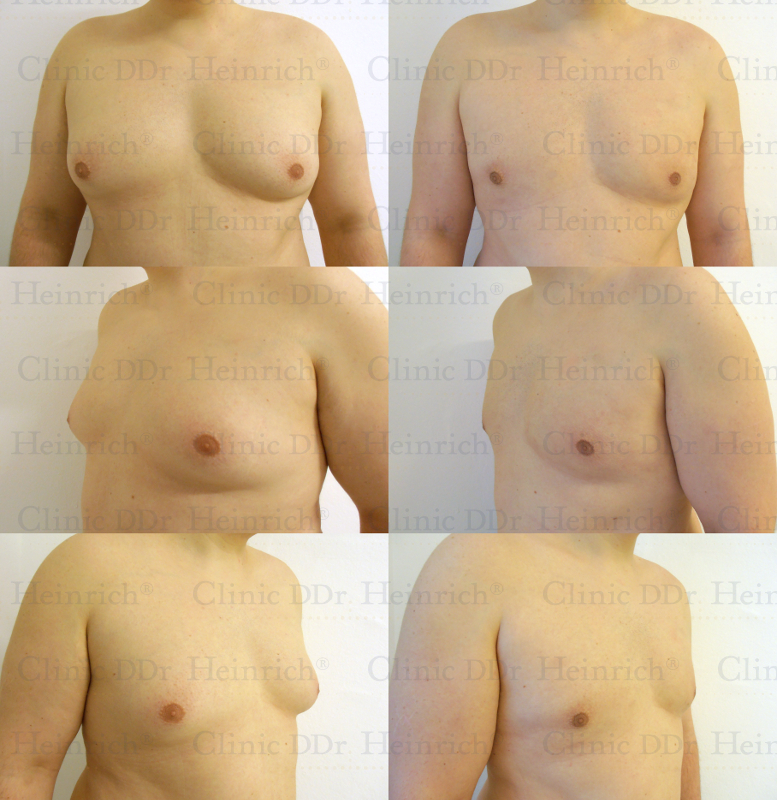 In men liposuctions are more often performed in body regions such as the belly, the chest (pseudogynecomastia), the back, as well as the chin. If desired the harvested autologous fat can be used for forming or correcting and rejuvenating of other body regions. Through the enrichment with autologous stem cells the body’s own fat becomes a natural filler by which signs of age or tissue damages can be compensated. Something that liposuction unfortunately cannot provide is a significant reduction of excessive connective tissue. 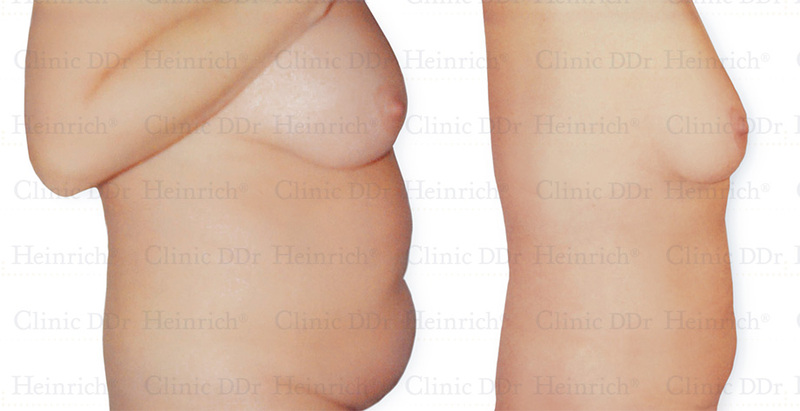 In this case a surgical tummy tuck (abdominoplasty) is still the method of choice. Liposuction alone is also not a substitute for weight loss therapy, but an accompanying, additional measure to facilitate back formation of often overstretched skin and to reduce risks for cardiovascular diseases. Liposuctions can be performed in different ways. For a medical layperson differences in quality between the different techniques are generally hard to evaluate. It though accounts for a significant difference in quality whether the liposuction is performed in manual work or with the help of suction devices (like ultrasound, laser, water jet). We solely perform our liposuctions in pure manual work without the usage of suction devices or mechanical suction systems. This special liposuction technique we offer is called liposculpture. Compared to a mechanical standard liposuction, liposculpture offers the possibility to obtain more fat per session under greatest possible body protection. Another important difference in quality is the type of cannulas used for liposuction: There are thin microcannulas and common thicker regular liposuction cannulas. All after photos show the results actually achieved by the treatment. To protect the anonymity of the depicted persons individual physical characteristics (e.g., moles, tattoos) might have been removed. 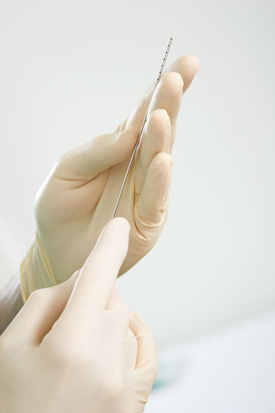 Microcannulas are thinner than common regular liposuction cannulas. In being a “finer” instrument with a smaller diameter between 1.0 and 2.5 millimeters microcannulas allow for a very thorough and especially tissue-conserving liposuction. DDr. Heinrich has even developed microcannulas by himself, which have received patent protection. The result of my microcannular liposuction is evident. DDr. Heinrich made my image of a female figure a reality in every detail. Just the right amount of fat was liposuctioned. Dresses and pants now fit me like they should, just perfectly! I now have much more self-confidence. Liposculpture, which means liposuction in careful manual work without the usage of mechanical suction devices with “real” microcannulas is, by the way, in Austria only offered by DDr. Heinrich according to our knowledge. The entire procedure is exclusively performed under local anesthesia (tumescent anesthesia). 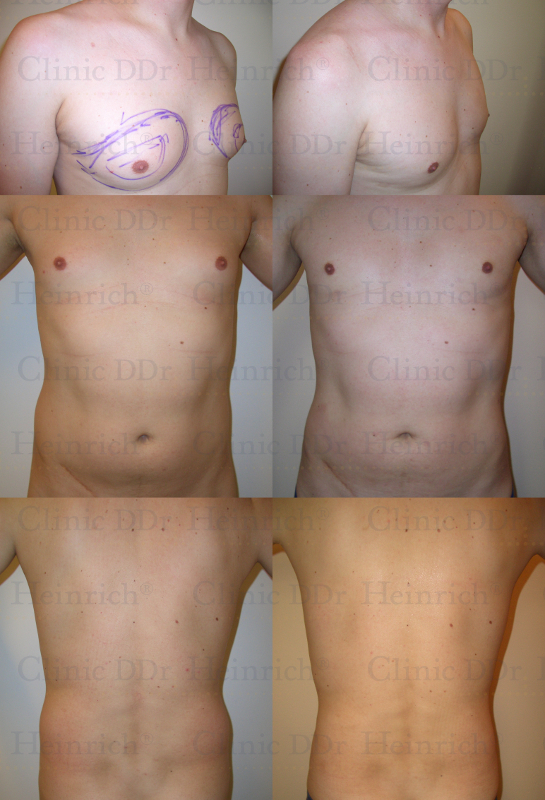 Liposuction is sone both while lying and standing so the silhouette will later look harmonic in all positions. The aftercare after a liposculpture with microcannulas is very manageable: Because the body tissue gets less injured compared to a common mechanical liposuction with thick regular liposuction cannulas a few days of light compression are sufficient. At the optimal course of healing no scars visible to the naked eye remain. Pain and swelling are temporary. Naturally this method is more elaborate and therefore also more expensive than the common mechanical liposuction with regular cannulas. The usage of regular liposuction cannulas and suction devices is the most common liposuction method in Austria, Germany, and the Czech Republic. Regular cannulas have a diameter of approx. 3.0 to 6.0 millimeters. In the majority of cases the usage of microcannulas ensures the best quality. Only for certain indications regular cannulas can be more advantageous. In these (rare) cases we recommend regular cannulas. Regular cannulas (starting from approx. 3.0 millimeters diameter) generally enable a speedy operation. This is why liposuctions with regular cannulas are normally cheaper than elaborate work with microcannulas. For the patient this cost difference is almost always the essential advantage of regular cannulas. In contrast to most of the other providers we also perform liposuctions with regular cannulas exclusively in gentle manual work without suction devices (liposculpture) and under local anesthesia (tumescent anesthesia). We also work while lying and standing when using regular cannulas so the silhouette is later looking harmonic in all positions. The benefits of microcannulas however drop if regular liposuction cannulas are used: Only a less precise forming of the silhouette is possible, compression garments have to be worn for 3 to 8 weeks, and pain and swelling appear more severe after the procedure than after liposuction with microcannulas. Due to the reduced effort this method of liposuction also costs less. In case of tissue weakness we advise against the usage of regular cannulas.